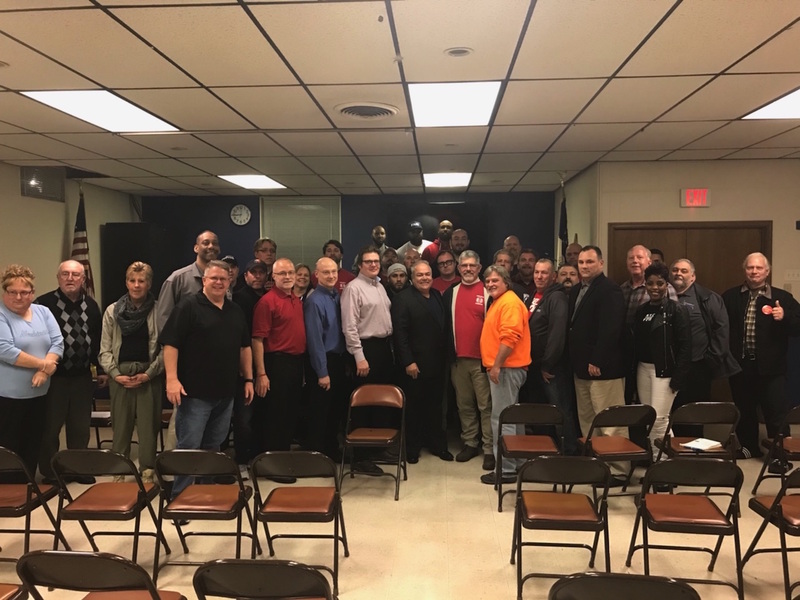 On Tuesday, Transportation GVP Sito Pantoja visited members in Philadelphia and attended a meeting at Local Lodge 1776. GVP Pantoja, along with members of the IAM negotiating team on American Airlines, met with local leaders and committee members to provide an update on the status of negotiations. An industry report was also given to the membership, focusing on the American negotiations.